An update for the Outlook Android app landed today that introduces a handful of substantial features, the most notable of which is server-side search. 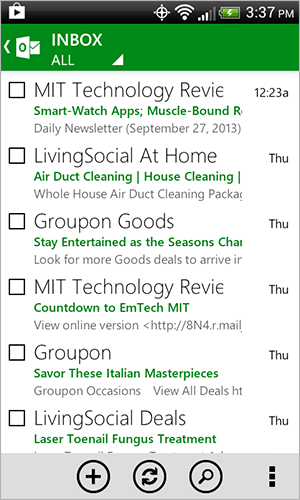 This new functionality allows you to search through all of your email, even messages that aren't on your phone. 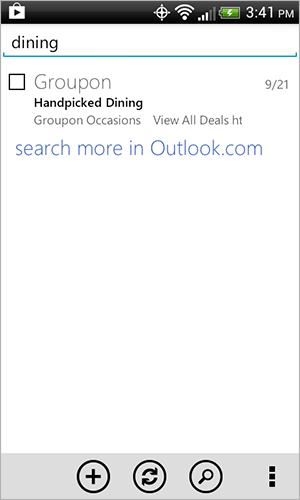 But Microsoft must have doubts about the app's reliability, because they've included a link to search for more messages at outlook.com if things don't work out. If you still rather have a copy stored on your phone, the option to download all mail is now in place as well. Users can also search for aliases and set vacation replies. 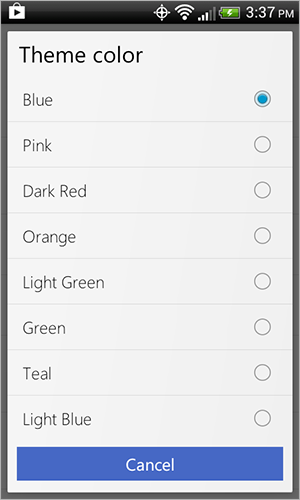 But here's where things get interesting - you can change the theme's color. Since there's only three or four colors on the screen at any given time, there are quite a few themes to choose from. 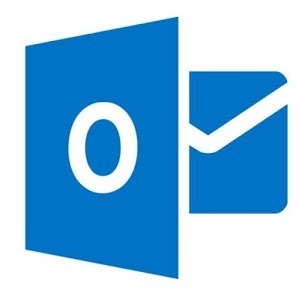 Most of us just stick to Gmail, but some people have to use Outlook for one reason or another, and it's nice to be able to take it with you on an Android device. If you're interested in giving Microsoft's free app a go, you know where to find it.